Madrid, November 2017. HITN has reached an agreement with producer Ánima Kitchent to include ‘Cleo & Cuquin’ in an early literacy initiative to help ensure kids from trans-cultural homes enter kindergarten on equitable footing with their peers. 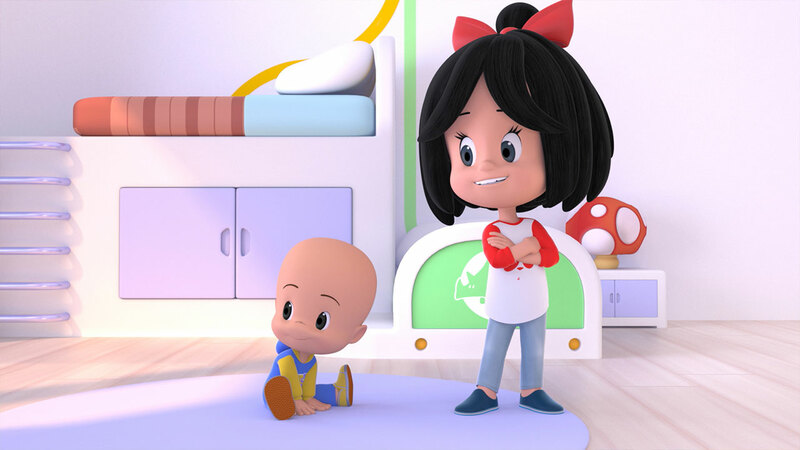 Brooklyn, NY – HITN announced that its educational App ‘Pocoyo PlaySet’: Let’s Move has been honored as finalist for the 2017 Kids Imagination Awards, an annual awards program celebrating the best in children’s, teen and family programming across platforms, technology, marketing and pro-social campaigns. Pocoyo PlaySet: Let’s Move is part of HITN Learning division’s suite of products that help preschoolers develop English-language skills needed for a successful start in Kindergarten. HITN’s educational app was nominated by the 6th Annual Cynopsis Kids Imagination Awards in the following categories: Mobile App Preschool, Mobile App (educational), Tablet-Based App. The winners will be announced at the 6th Annual Awards Breakfast, held on September 19 at the Yale Club in NYC. Brooklyn, NY – HITN announced it was awarded the 2017 Kidscreen Award for Best Preschool Learning App. The winning app, Pocoyo PlaySet: Let’s Move, helps preschoolers develop English-language skills needed for a successful start in Kindergarten. Kidscreen Award winners were announced during the Kidscreen Summit 2017 in Miami at a special presentation February 14th. HITN-TV is the largest non-commercial Hispanic network in the United States, offering educational and cultural programming for the whole family. It reaches more than 44 million viewers in the US and Puerto Rico via DIRECTV, DISH Network, AT&T U-verse TV, Verizon FiOS TV, Comcast, Charter Spectrum, Frontier Mediacom, CenturyLink Prism, and Cablevision.